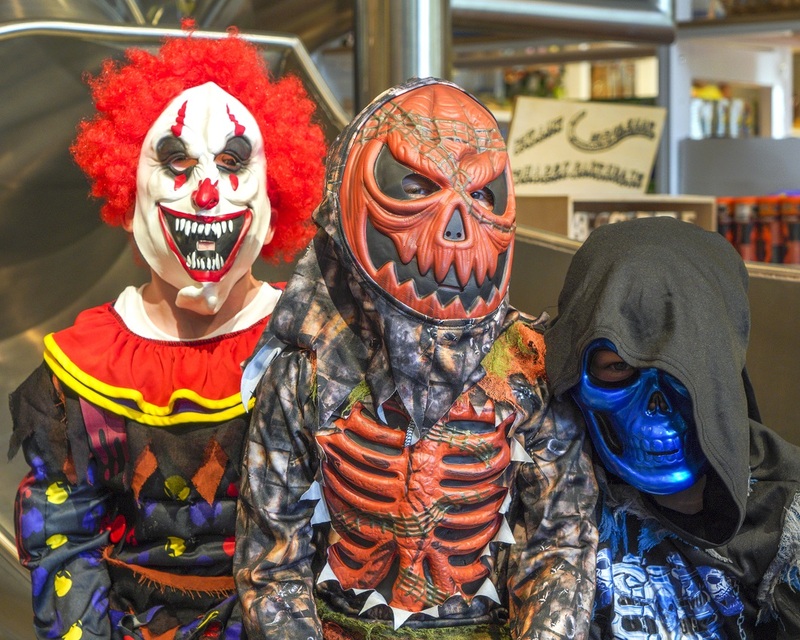 THOUSANDS of visitors had their spines tingled at a halloween spooktacular in Aldingbourne. The Aldingbourne Trust transformed its usually tranquil woods into a walk on the dark side for its annual October ogre-fest. The three days of events at the Aldingbourne Country Centre saw more than 3,000 people go along to join in the frightening fun last weekend. From ghouls to ghosts and werewolves to witches, there was a scary surprise waiting around every corner. Smokey sunshine rays filled the woods with an eerie feeling while coffins opened and closed mysteriously as people passed by. Jen Sears, the event’s manager, said: “This has been the best halloween event we have ever organised. “The feedback from the customers has been great and they have requested even more scares for next year. She said the trust – an award-winning charity which supports adults with learning disabilities – would like to thank all those who went along. It hoped they would all return next year for more heart-stopping horror, she added. Meanwhile, a gathering of ghosts haunted the history on show in Bognor Regis Museum last week. The ten cheeky apparitions were hidden among displays about the town’s past. Those who managed to find all of the spectres were able to claim a free halloween treat from volunteers at the museum. At least 100 completed ghost hunt forms had been handed in by last Friday lunchtime – with two more days of the phantom fun still to go. Jane Barnes, a trustee of Bognor Regis Local History Society, which runs the museum, said the event had been a success. She said: “We do like to encourage young people into the museum and we want them to have a happy experience. The hunt helped youngsters find out more about the town’s history and showed the subject was enjoyable, she said. The museum is staying open after this Sunday, on mornings only. The 10am-1pm sessions will start next Tuesday and continue daily, except for Mondays, until the museum’s Christmas special event. This will take place from 10am-4pm on November 24 and 25, with free entry. It will feature a vintage Christmas decorations display, a lucky dip, festive music, have-a-go nut cracking and stocking filler ideas.